Arlington school officials will soon decide on a name for the new middle school to be built on the site of the Stratford School building in Cherrydale — but the complex history of the building, and its original name, has divided the community over which option is best. 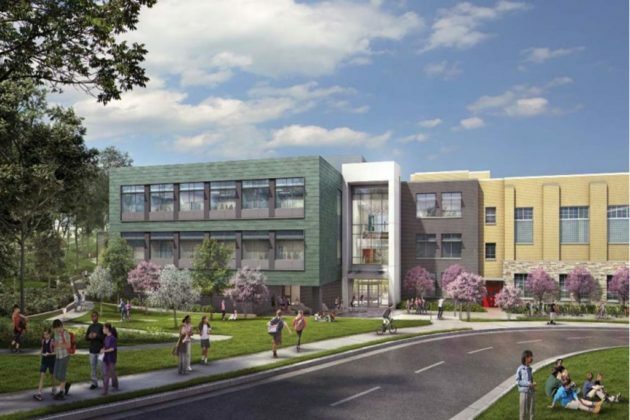 A naming committee settled on three options for the 1,000-seat school in October, ahead of the building’s planned opening next fall. But that collection of parents and community members hasn’t been able to settle on a definitive recommendation as the School Board gears up for a vote on the matter. 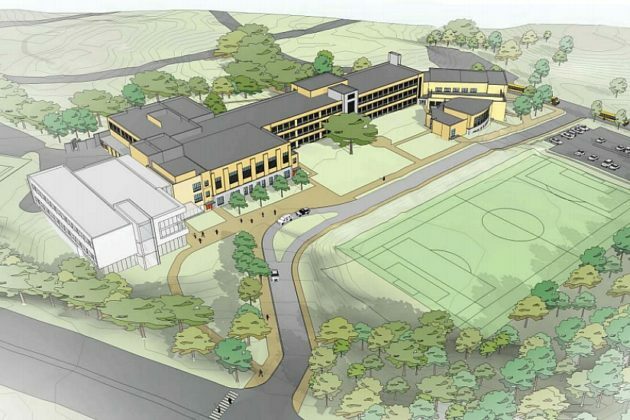 The group initially considered “Legacy Middle School at the Historic Stratford Building” as an option, but that choice fell out of favor as the process advanced. The committee even floated the compromise possibility of naming the building “Stratford-Hamm Middle School,” but stopped short of recommending such an option. The building, located at 4100 Vacation Lane, currently houses the H-B Woodlawn program, but was once the site of Stratford Junior High School. That’s believed to be the first school in Virginia to admit black students following the momentous Brown v. Board of Education Supreme Court decision, lending plenty of historic significance to the site and its name. But the “Stratford” name itself comes from a considerably darker part of the nation’s past. The name is derived from Stratford Hall, the plantation home of Robert E. Lee and his family in Westmoreland County. Considering that the school system is in the midst of a contentious process to strip Lee’s name from Washington-Lee High School, any association with the Confederate general has the potential to kick off a new firestorm of controversy in the county. Accordingly, some members of the naming committee championed naming the building after Dorothy Hamm, a civil rights activist who helped lead a court challenge to Arlington’s school segregation policies, leading to the eventual integration of Stratford. That’s why many would much rather simply name the school “Stratford.” The county’s Historical Affairs and Landmark Review Board endorsed such an option, castigating the school system in a letter for even considering the possibility of a name other than Stratford “without any apparent prior consideration of the uniqueness and the historical and cultural significance” of the site. A special committee convened by Superintendent Patrick Murphy to debate “Historic Interpretation at the Former Stratford Junior High School” reached a similar conclusion, noting that the school has earned inclusion on the National Register of Historic Places in 2004. Smith urged the Board to consider the opinions of both the commission and the review board, but otherwise would not take a firm position beyond suggesting one of the two names. The Board will discuss naming options for the first time on Thursday (Dec. 6), with a final vote set for Dec. 20.